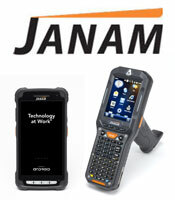 Your Mobile Workers have specific needs when it comes to their Barcode Scanners and Terminals. 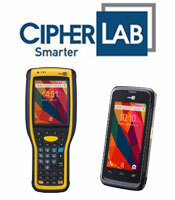 Different Mobile Barcode Readers fit specific mobile tasks and environments. Barcode Scanners are available at various price points with various features ranging from 1D and 2D barcode reading, RFID, keypads, cameras and network connectivity. 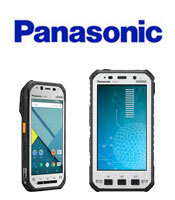 PTS sells only Best in Class mobile barcode terminals and devices from industry leading manufacturers including Zebra, CipherLab, Panasonic and Janam. PTS also offers Best in Class mobile barcode terminals in pre-configured starter kits designed for your exact application needs. If you don’t have a software solution or want to DO MORE with your mobile barcode scanners, please view our Barcode Scanner Starter Kits with TracerPlus Software. PTS Barcode Scanner Starter Kits include everything you need to get started with barcode scanning. All starter kits include a Barcode Scanner, all necassary communication and charging accessories and our own TracerPlus mobile barcode software which can be set up without programming to do virtually any Barcode reading function. 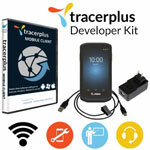 TracerPlus enables you to create custom mobile Barcode apps in minutes without programming in 3 easy steps. First, create your application with TracerPlus Desktop, then deploy and run your app to a wide variety of mobile devices running Android, iOS and Windows Mobile. Lastly, sync your collected data to the destination of your choice with TracerPlus Connect. All software is available for Free Trial. 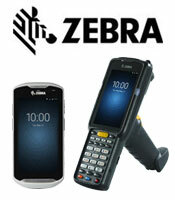 PTS supplies industry leading barcode printers from Zebra, SATO and Datamax-O'neil. Choose from Industrial Tabletop printers for high volume prinitng, affordable Desktop printers for on demand labels or a truely portable solution with mobile printers. 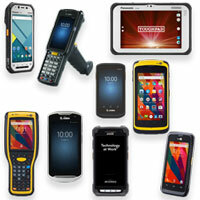 PTS supplies all of the essential Barcode Labels, Ribbons and media for Industrial, Desktop and Mobile Printers. PTS also offers pre-printed labels for those of you that don't have time or money to invest in the equipment needed for producing labels.